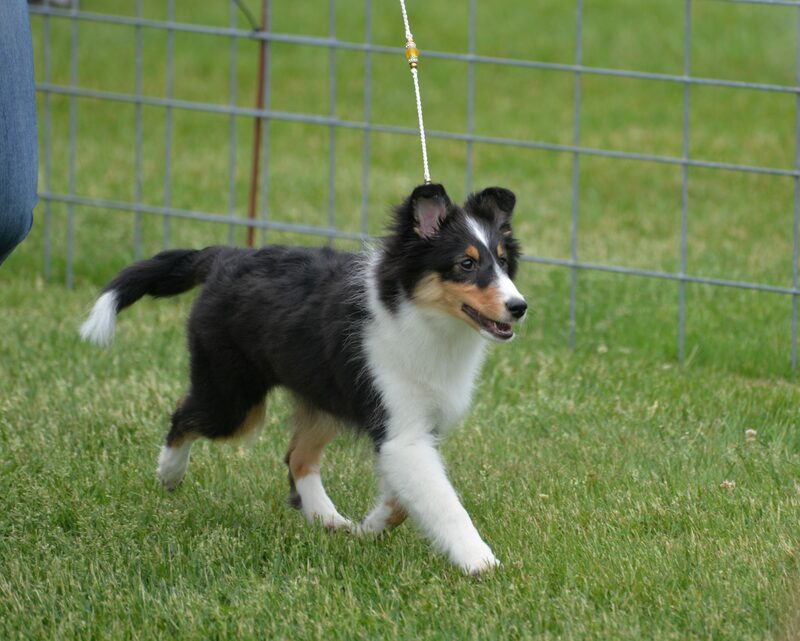 Anthem is co-owned with her co-breeders Kaskia Shelties in Pennsylvania and Foxglove Shelties in Massachusetts. Her sire is "Calvin," a dual-purpose dog we have long admired. We have high hopes that Anthem will follow in her father's versatile footsteps! 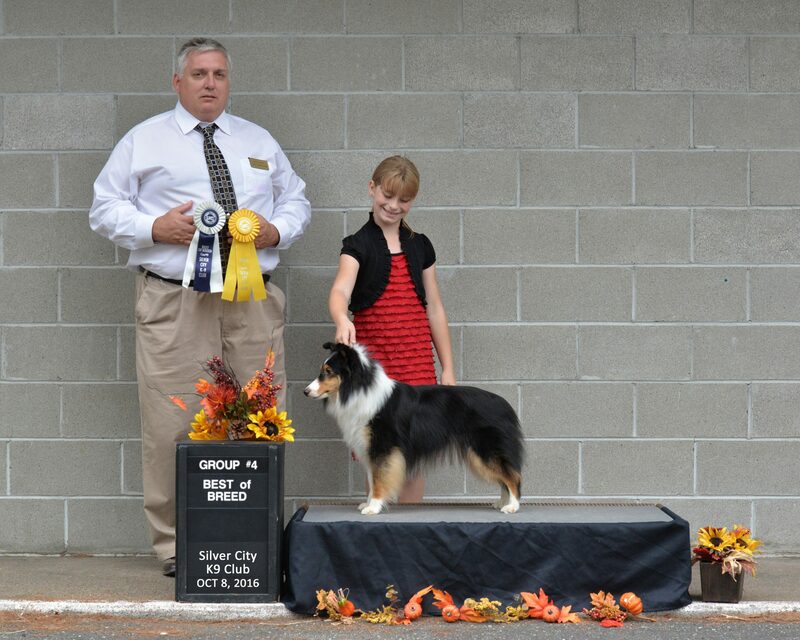 Anthem's show career began with a UKC Best Puppy in Show at 5 months old. 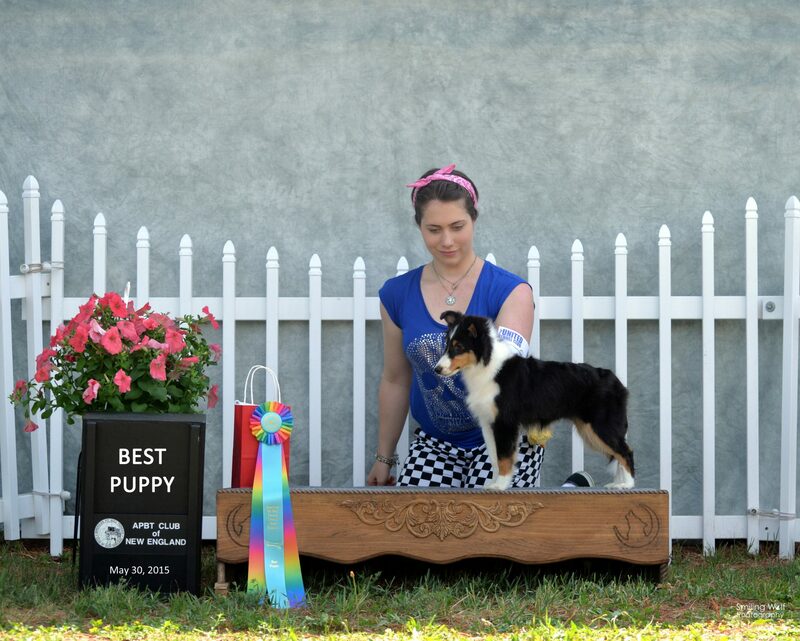 She quickly earned her UKC Championship and her first GRCH win before she turned 8 months old. 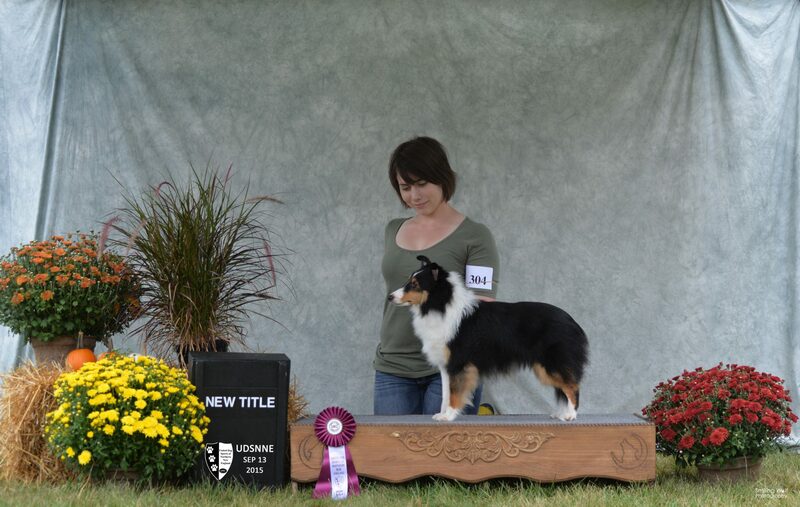 Our friend Katie Rogers often steps in to help show Anthem at UKC shows, and she is happy to show for anyone! 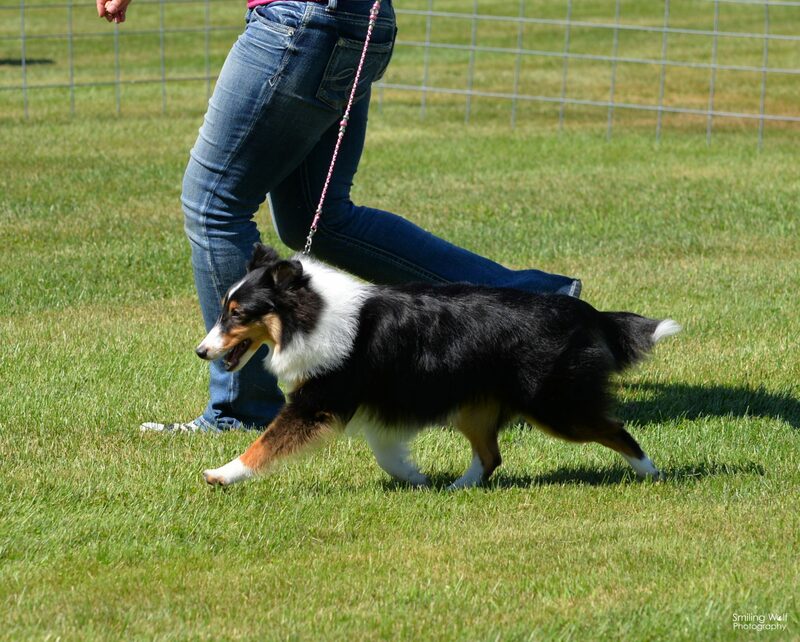 At the 2016 United Shetland Sheepdog Association (UKC) National Specialty, Anthem was Reserve Champion in an extremely competitive lineup, and earned another Reserve Champion award in a class of 10 during the Premier weekend. Katherine's partner in crime Dan has taken the lead on training Anthem for agility, where she has kicked off her career with a bang. She won her first three Novice A JWW classes to finish her NAJ in fine style, blew through Open & Excellent JWW, and now is picking up MACH points in Masters. She started competing in Standard in late 2017. At the 2017 East Coast USDAA Title Mania event, Anthem finished as the #1 16" dog of all levels, going 3-for-3 in both Jumpers and Snooker!